Will Make Beats For Food : Apt. 5B Podcast Hosted by Kil: If Cyhi the Prynce ISN'T The Dopest New Lyricist Over the Last 20 Years...Who Is?!?!?! Apt. 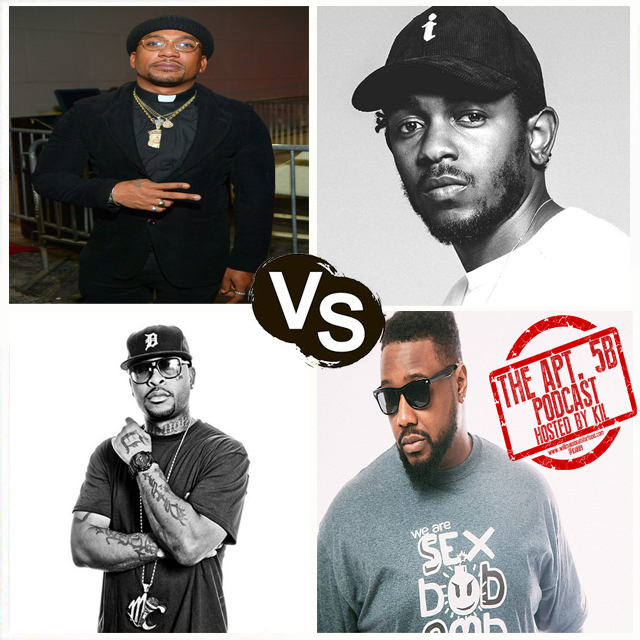 5B Podcast Hosted by Kil: If Cyhi the Prynce ISN'T The Dopest New Lyricist Over the Last 20 Years...Who Is?!?!?! A week ago I made a hip hop decleration that Cyhi was the dopest new lyricist over the past 20 years based off the fact that I haven't rewound an album, asked "what did he say", come back and hear things I didn't hear the first couple of listens and had an album that I couldn't stop playing since Jay's "Reasonable Doubt" back in '96. Off course everyone & their moms were buggin' like "hell no" so my question for folk is, if not Cyhi then who? So for this week's ep of my podcast Apt. 5B I'm chopping it up with Vern, Jas, DJ Wreck 1 & Tone about who are their dopest lyricist over the past 20 years and why? We're also chopping it up about why I think most folk have no idea what their criteria for a what a dope MC is, who's part of the new school question from the 80's & 90's of who's the dopest MC...Kane, Kris or Rakim and Biggie, Jay Z or Nas and why Phonte is the Larenz Tate of MC's to why a Nas interview changed the way I listen and digest music nowadays, what are our criteria for a dope lyricist, we shout out Jay for schooling all of us married men that we need to be committed and take care of our families and get our credit right and I break down how EVERY SONG on Cyhi's has rewindable hip hop quotable that should be in the Source monthly hip hop quotable for the entire year of 2018! As always...it's just ANOTHER dope episode and don't forget to subscribe to our You Tube Channel!